Santosha - the sanskrit word for contentment - reflects our firm belief that we have all we need inside to live a happy, fulfilled life. Our retreats, whether our adventures take us inward or outward, help you to unearth that joyful capacity deep within you and learn to excavate it in any circumstance. Take a break, give yourself some space, breathe deep, move freely and explore with us! With a shared sense of wanderlust and craving for adventure, Marisa Wolfe and Halli Bourne founded Santosha Yoga & Meditation Retreats in 2008 to draw their students into a direct experience of the wonder and discovery of pervasive relaxation. 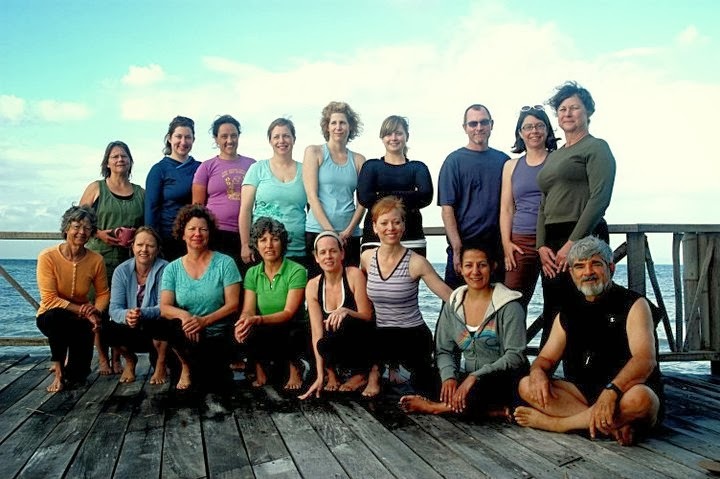 Quick to smile and eager to embrace the array of life's pleasures, their friendly personalities and skillful approaches offer students an unrepeatable, rich experience of yoga and meditation in stunning natural settings. 2015 marked the end of an era, as Halli left Santosha to follow her own bliss and focus on True Self Coaching, through which she offers personalized Mindfulness Coaching sessions. Marisa, on her own and partnering with other teachers (who knows what serendipity the world will bring us!) 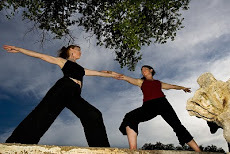 working full-time as a bodyworker and yoga teacher, excels at the intricacies and variable approaches to yoga asana. Through a breath-based practice of asana and meditation, she aims to create a well-rounded, grounded-yet-elevated experience for all students to change lives and increase joy! Marisa is a Kripalu Yoga Teacher (E-RYT200+), licensed massage therapist, and certified Thai Yoga Massage Practitioner. 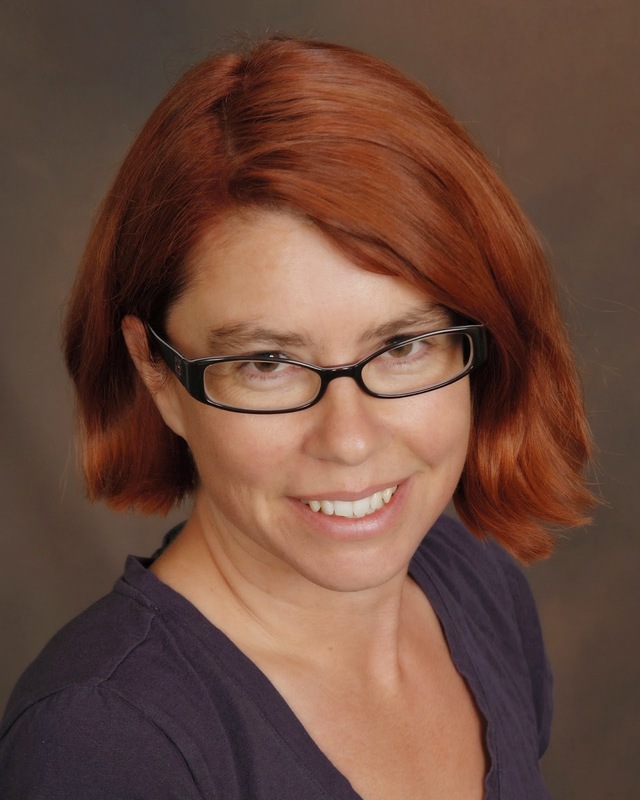 Marisa brings compassion and playfulness to her classes, inviting students into personal exploration. Her bodywork sessions aim to develop equilibrium and greater physical ease. 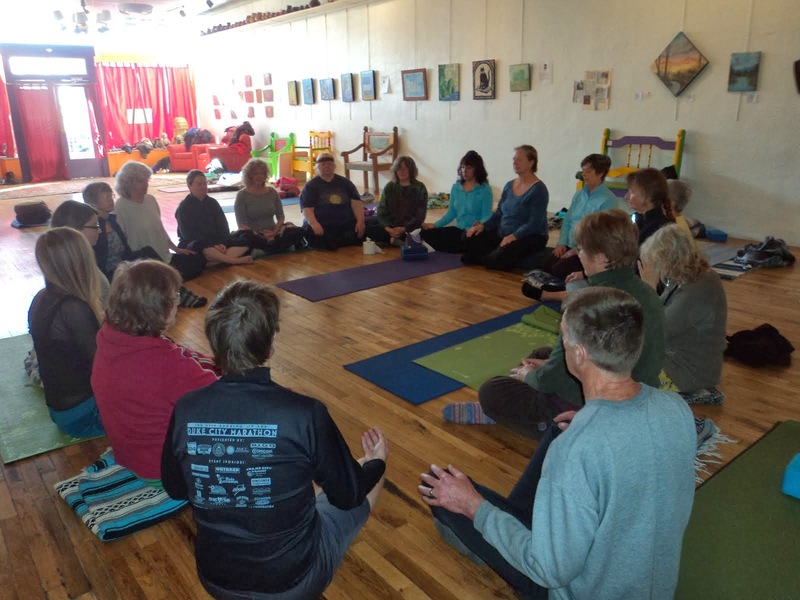 Marisa owns and teaches at Yoga del Sol in Central New Mexico and maintains a blog of practice and life inspiration that arise out of her interests and classes. Find out more about Marisa at www.marisawolfe.com. In Kripalu Yoga, we honor the breath in both movement and stillness, and consider pranayama (breathing techniques to direct life force) an integral component of any practice. Kripalu, which means compassion, respects the practitioner foremost, focusing on safety and alignment while adapting the practice appropriately for the individual. Sometimes we will link poses together, at other times we will hold poses to allow for the insight stillness can bring, encouraging students to practice mindfulness around their abilities as well as their limitations. Kripalu Yoga is meditation in motion, drawing attention to sensation while inviting grounded practice and liberated spirit. January 12-14, 2018: Annual Breathe New Life Into Your Life Retreat in T or C, NM - Only a few spots left! March 10-17, 2018 - Thai Yoga Massage for Balance Certification Training and Retreat in the Sierra La Laguna, Baja California Sud, Mexico - Registration now open! March 22-29, 2018 - Yoga & Meditation Retreat Baja California Sud Mexico - Registration now open! Like us on Facebook and stay current! Now you can retreat with us in your living room! On sale NOW for only $5! 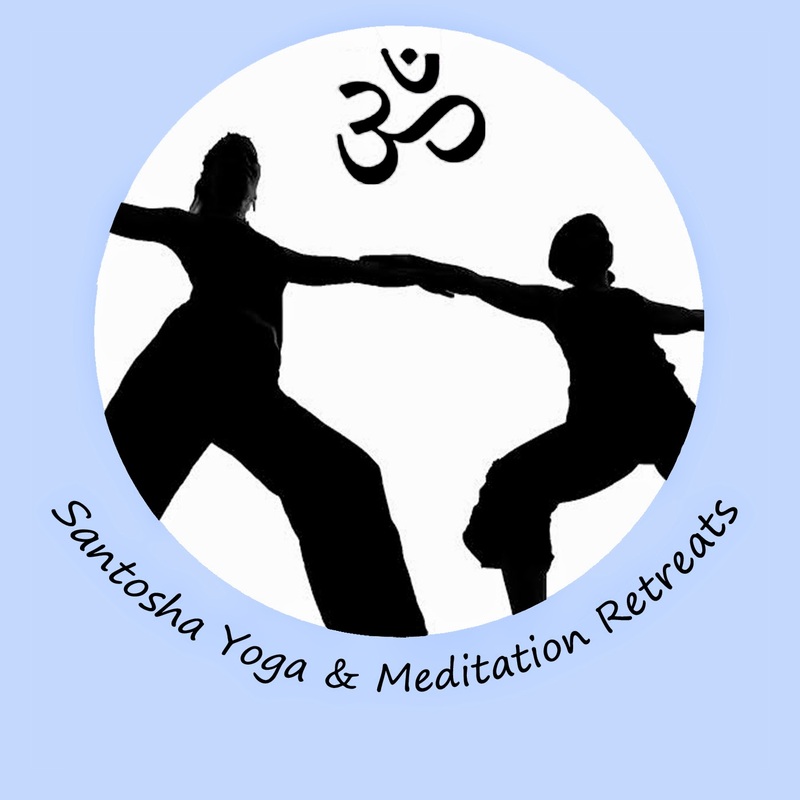 Santosha Yoga & Meditation Retreats/Yoga del Sol. Awesome Inc. theme. Theme images by 5ugarless. Powered by Blogger.